We are a full service law firm, that also offers unbundled legal services to manage costs for our clients. We are a general litigation practice with a focus on family law proceedings and bankruptcy. Our firm values our clients and seeks the best outcome for each situation, whether that requires a legal solution or not. We understand that this is a very stressful part of our clients lives and therefore strive to keep the process as collaborative as possible. We handle Chapter 7 and Chapter 13 bankruptcy's and have handled hundreds of cases in this area. We have experience in adversarial proceedings as well as contested matters. Our approach is holistic, and does not try to force every person into a bankruptcy. Rather, we start with an approach that seeks to work out solutions with each creditor. Oftentimes, just having a lawyer creates a more receptive attitude from creditors. This is a sad fact. As a debtor, you are probably familiar with the hostility and incompetence of bill collectors who are just trying to get a payment from you. Part of this is because these bill collectors have huge case loads, and are just trying to plough through their accounts and meet quotas. However, after retaining a firm, your account will probably be placed in a completely different department, and debt negotiations are much more likely to be successful. I worked for a family law firm for three years prior to going to law school. I enjoyed working with the people, and discovered that I could make a big difference in peoples lives in one of the most trying periods of a person's life. I started my practice with the premise I would always attempt to facilitate a collaborative divorce. Before going to law school, I worked for several years at a family law firm, and saw firsthand the potential of increasing acrimony between spouses when the court system is used haphazardly. Growing up with separated parents, I think I understand the stress and frustration of a long drawn out family divorce. The courts should be a place of last resort - who wants a Judge who barely knows you to make decisions for you? That being said, I have had a lot of experience in family law, as well as the closely related field of bankruptcy and am able to be a zealous advocate when necessary. However, my main philosophy is to make things workable between spouses - if there are children, this is even more essential because the love of both parents should be there, and the child shouldn't be made to feel bad about loving both of you. My bankruptcy practice is an extension of my family practice, as oftentimes what is affordable before a divorce becomes very difficult when two people are paying rent in two different locations. In the past I have worked for a bankruptcy law firm, and have handled hundreds of cases. 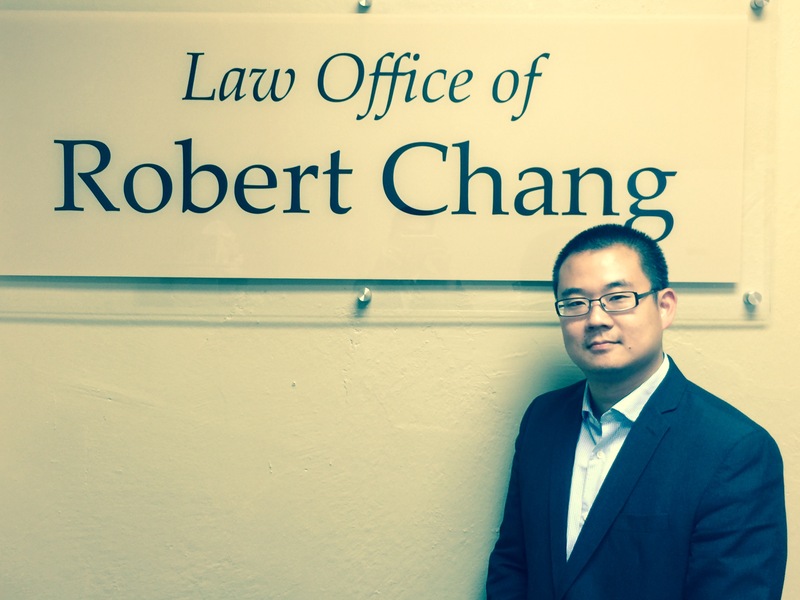 Robert Chang grew up in New York, and has lived at various times in Los Angeles, San Diego, and New Orleans. He brings several years of experience to his cases, and always strives for excellence in his practice. In his spare time, he enjoys spending time with his daughter and wife, and doing sadistic boot camp-like fitness classes.